Some of the links below are affiliate links. That means if you click on them and make a purchase, I make a commission on that order. Find out more information here. 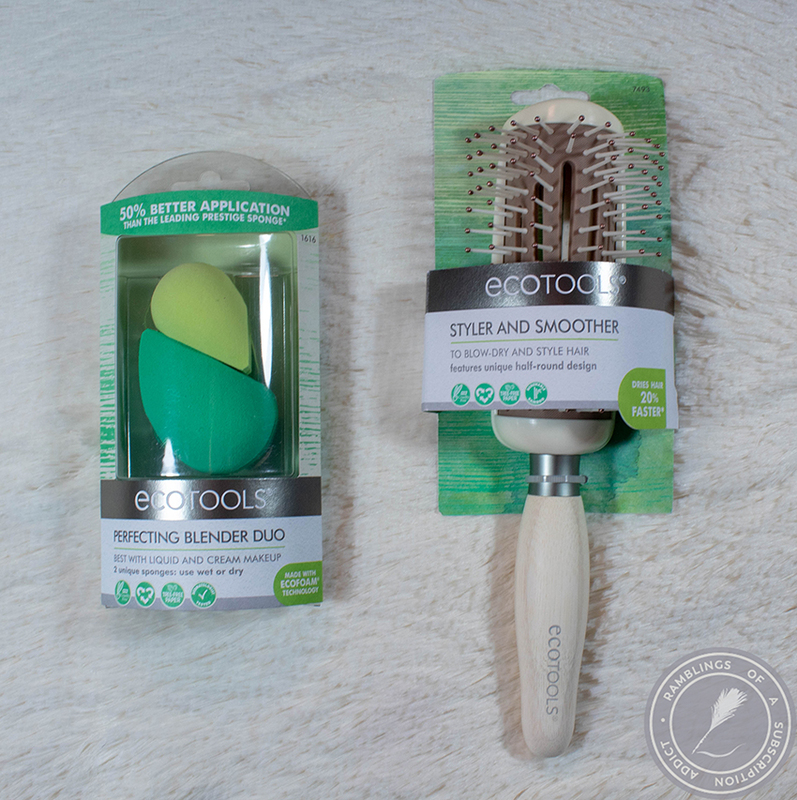 What is the ecoTools Box? 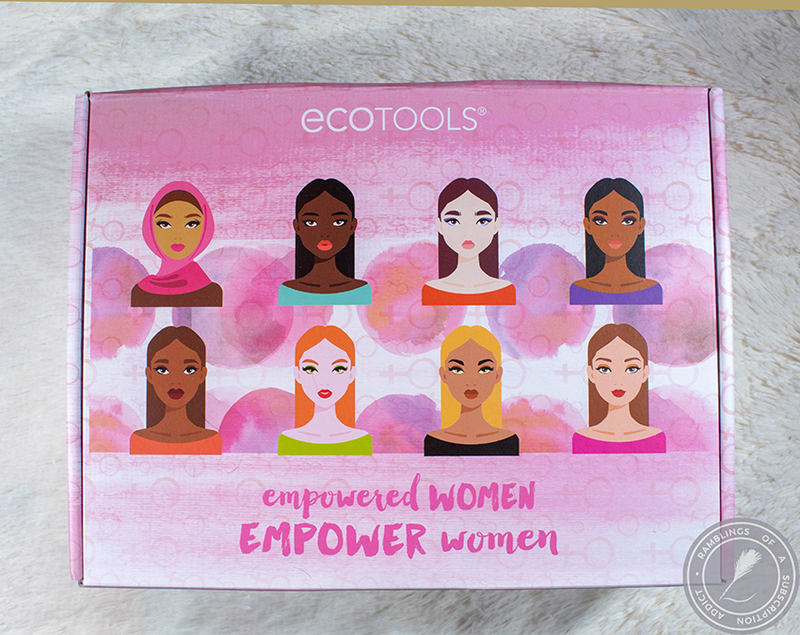 : The ecoTools Box is a monthly purchase (not subscription) with a theme filled with products from both ecoTools and outside brands. There is no specified guaranteed value that I can find but it's always more than the cost of the box. 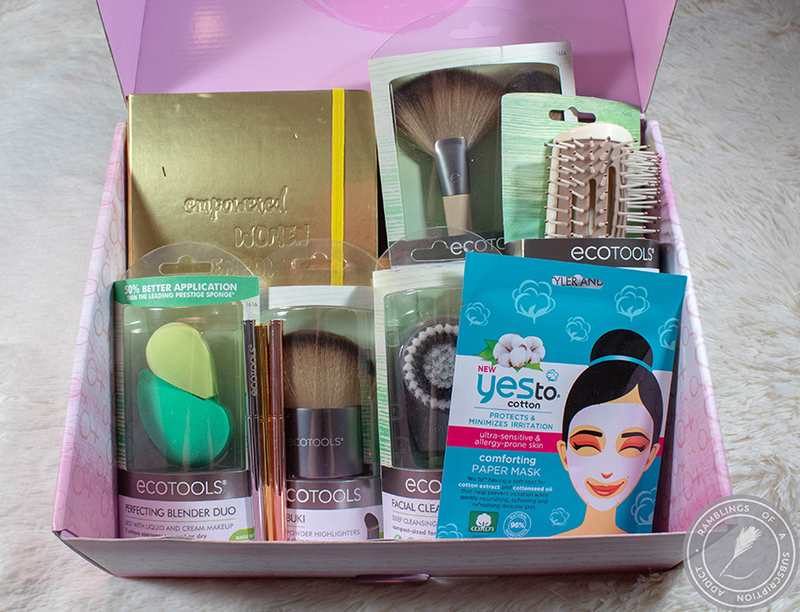 How Much is the ecoTools Box? : Each box is $50 but if you wait, you can sometimes find boxes still available after the month for a discounted price. There are many boxes currently available that are less than the $50, but I paid $50 for each box. 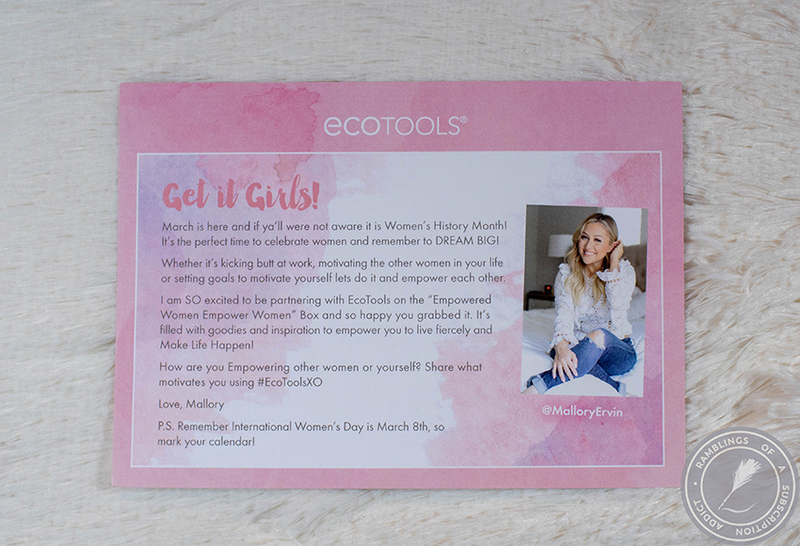 Another month of the ecoTools Beauty Box. I didn't buy the full year of boxes, though. That would have gotten a little expensive. When I saw the theme of this box, I was instantly interested. Like always, I was able to see what was going to be in the box prior to purchase. 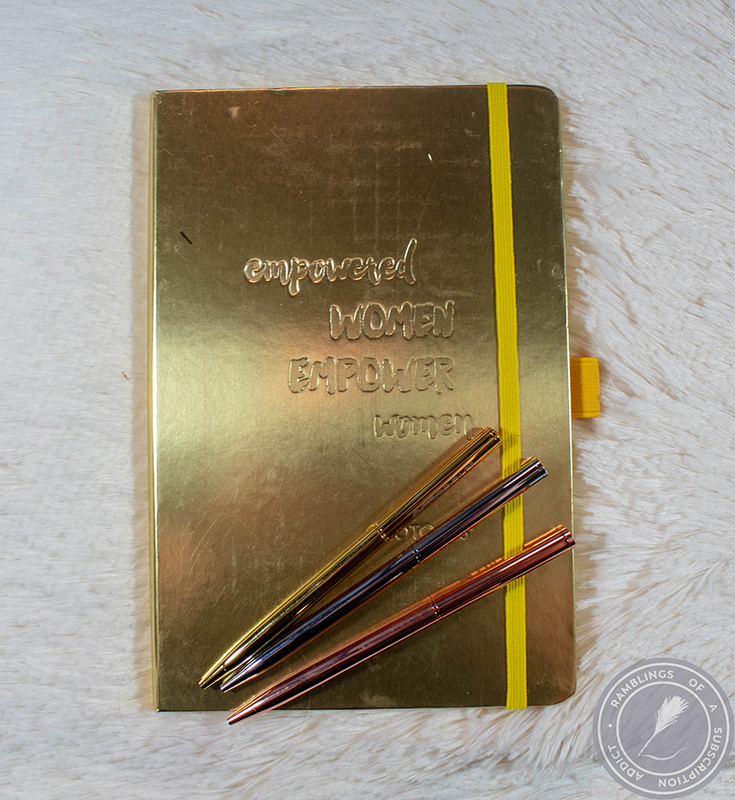 Notebook and Pens (Unknown) - This isn't available for purchase anywhere so no pricing is available. I'm not a huge fan of the notebook (I prefer spiral bound ones so it can lay flat) but I love these pens. They're fancy and look really nice but without costing a ton. They all write well which is all that you can ask of a pen. Perfecting Blender Duo ($9.99) - Let me tell you a story. I was a die-hard Beauty Blender snob. Nothing was as good for foundation and concealer, nothing was good enough. Until the day that I lost my current Beauty Blender and I couldn't remember where I had put my stash of new ones...and I had just gone through my boxes that I'd photographed and the bigger sponge was sitting in front of me. This is at least as good if not better than an original Beauty Blender. The reason I think it might be better is solely because of the flat edge. Basically, try one of these and save your dollars. Styler + Smoother Hair Brush ($10.99) - This is a game changer for me. I never would blow dry my hair before (honestly, I didn't know how) but getting this brush and sometimes running late from showers necessitated my learning. Now, this brush stays on my vanity for every time I shower and blow dry. It's amazing and so well priced that it's perfect. 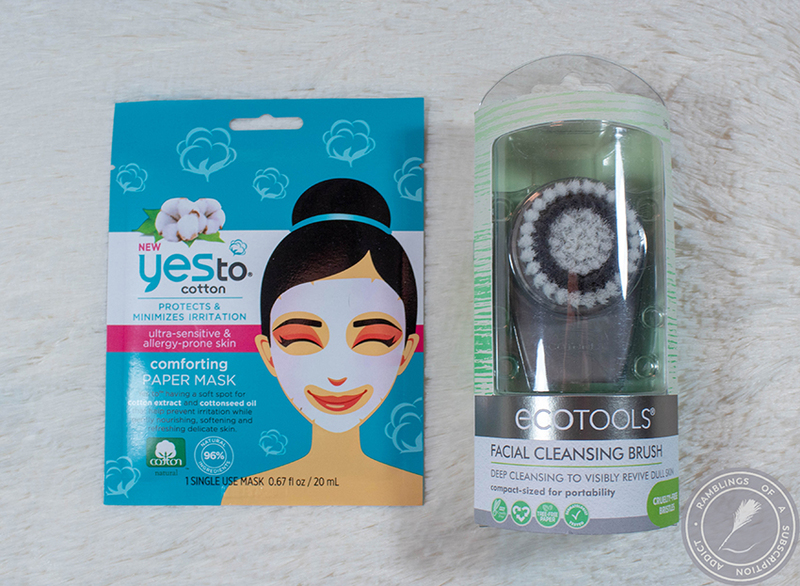 Yes To Cotton Comforting Paper Mask ($7.99) - These cotton/paper masks are so strange to me. They aren't like normal sheet masks but they're surprisingly really nice on the face. I don't know what a comforting mask is supposed to do but my face felt more moisturized after use, so that's something! Facial Cleansing Brush ($5.99) - It's like a Clarisonic but manual, more basic, and cheaper! I don't do a lot of cleansing with this type of brush thingie so I don't need something huge and fancy. This does exfoliate pretty well so be careful using it too often if you have sensitive skin. Glow Buki ($9.99) - Looking this brush up, there are a ton of 'bukis' that they sell...which I'm not sure about. This is meant to be a highlighter brush but I just keep it sitting on my vanity because it's cute. I like a lot of control with my highlight brushes so this doesn't really work for how I do makeup. 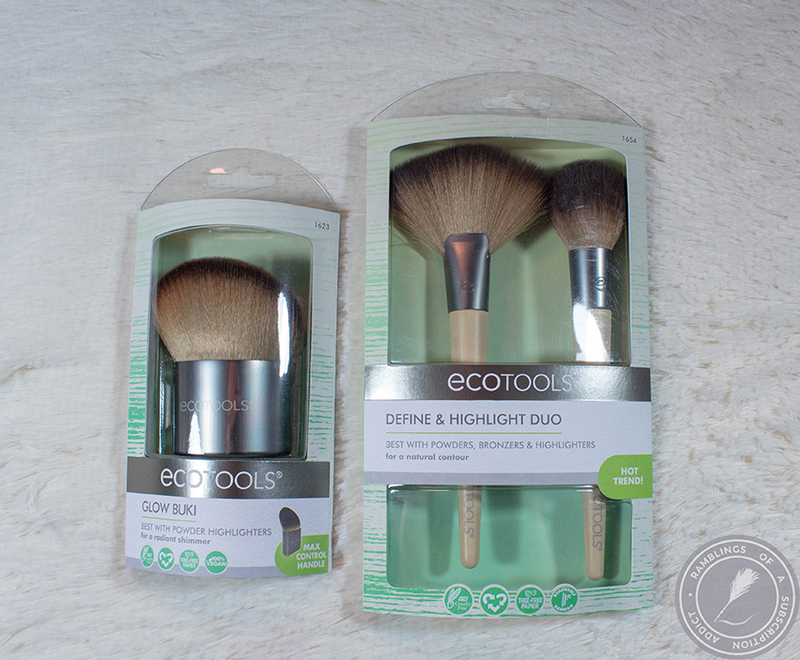 Define and Highlight Duo ($11.99) - Now this is an amazing brush duo. The highlight brush is a little big for my tastes but it's fine as long as I'm using a pressed highlight and the contour brush is perfect for getting in under my cheek bones. I've used the crap out of these brushes since receiving them and have even considered buying a backup for when I'm washing brushes. This box is valued at an estimated $56.94, but that's not including the notebook and pen set. 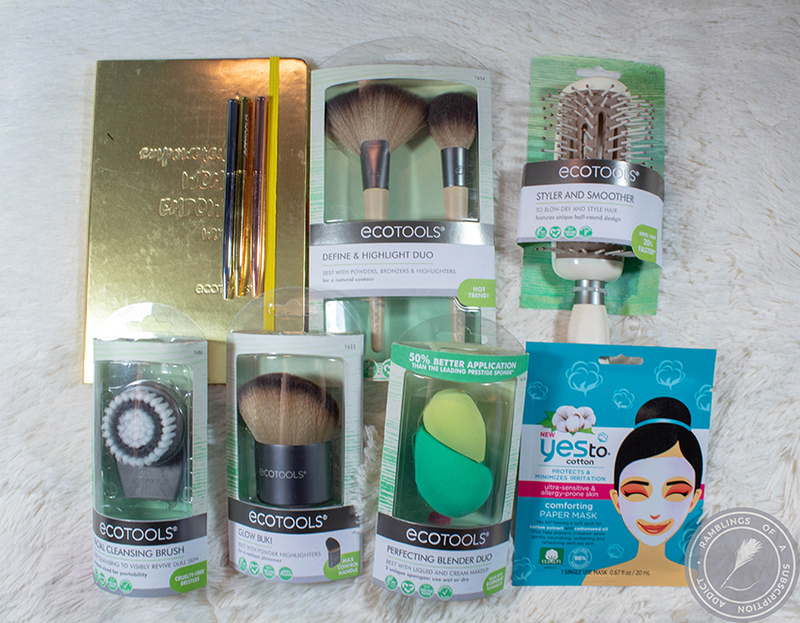 Even without those items, the box definitely had its value and I was introduced to new products that otherwise would have been passed up.